Inspire the flow of new ideas with an unconventional space for your next meeting. Native plants and trees and natural light add a calming desert ambiance to our 500,000 square feet of versatile, fully equipped meeting facilities. Our stunning spaces are anything but business as usual. 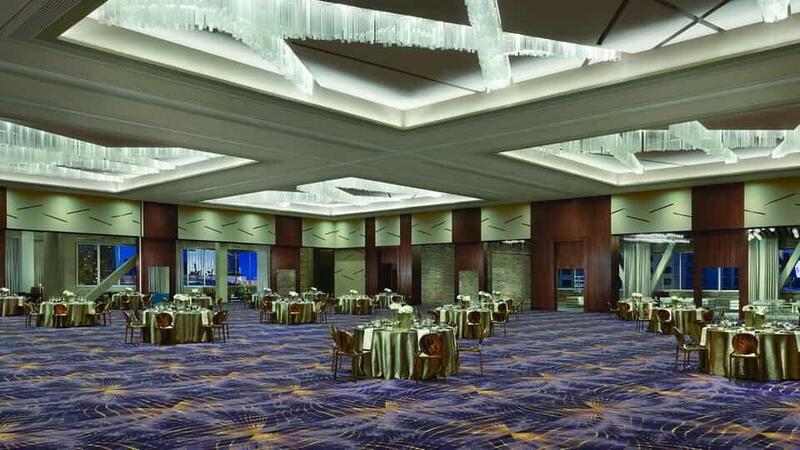 Your meeting deserves a unique venue. 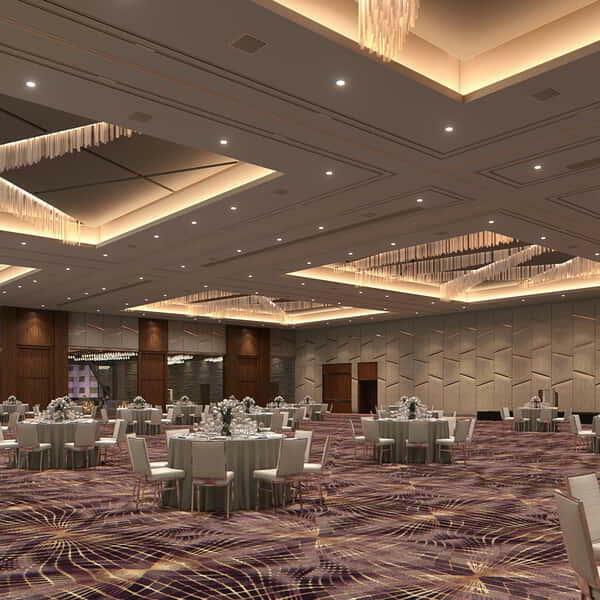 Our flexible space feature seven ballrooms ranging from 17,500 to 51,000 square feet, five with fully functioning theatrical stages. Each level offers additional breakout meeting rooms from 400 to 3,400 square feet to host smaller programs. Newly opened Cypress Lounge is designed for intimate meetings with intricate presentation requirements. 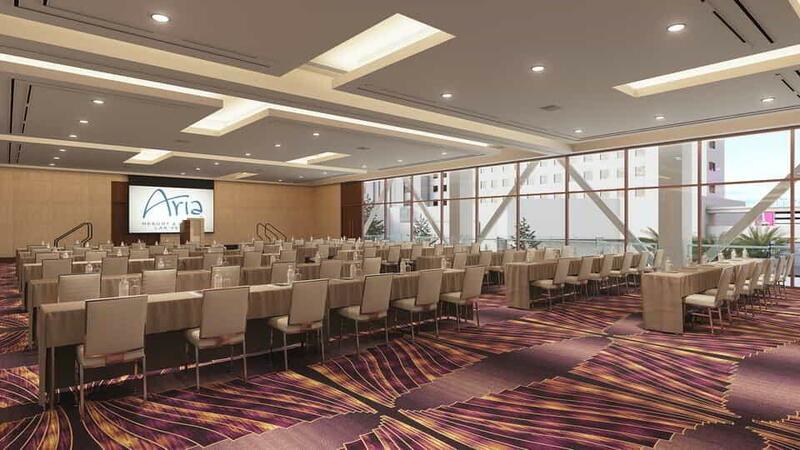 Innovative technology combined with clean air, natural lighting and 500,000 square feet of flexible space just steps away from our luxurious rooms and suites makes ARIA the ideal meeting place. 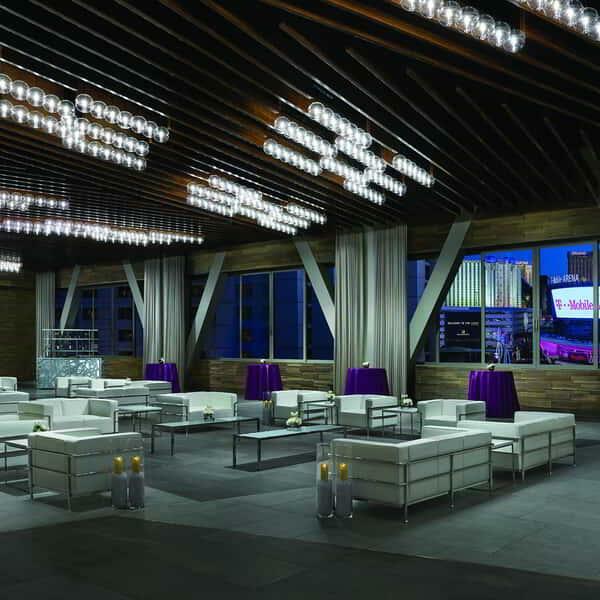 ARIA, a AAA Five Diamond resort, features approximately 500,000 square feet of technologically advanced meeting and convention space offering the flexibility to accommodate gatherings of all sizes, ranging from 10 to 5,000 attendees. 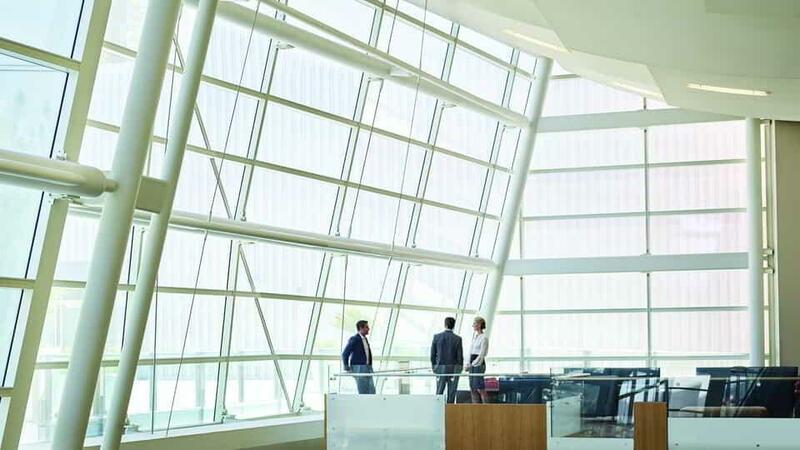 With one of the most advanced wired buildings in the world, ARIA’s convention and meeting facility provides unparalleled state-of-the-art capabilities that can accommodate the most complex technical needs in a concealed, intuitive and effortless way. Videoconferencing Across the Resort or the Globe. 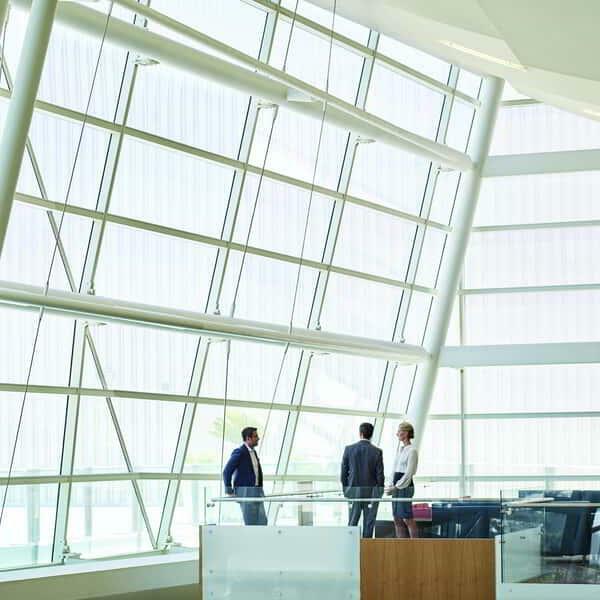 The ARIA Meeting Planner's Guide is your go-to guide for all things ARIA. 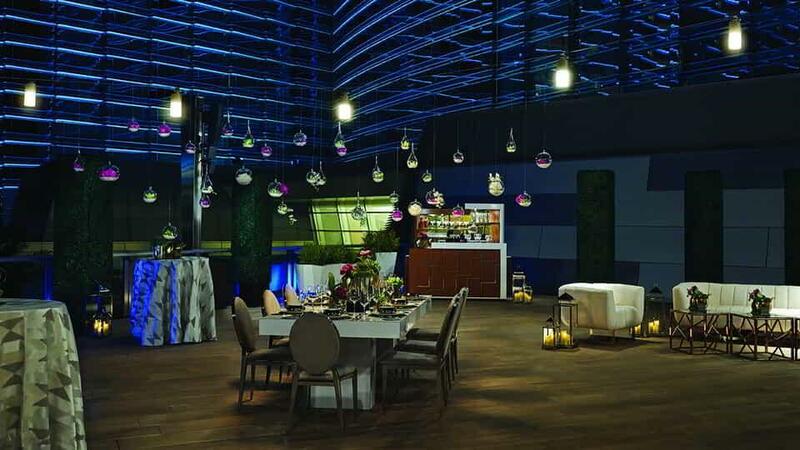 From Advertising to Wire Transfers, we have the answers you’re looking for when planning your big event at ARIA. 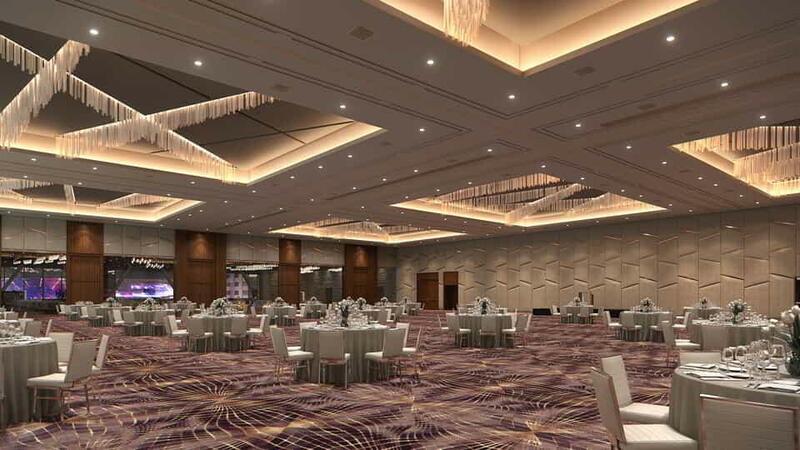 Your event will be the culmination of hundreds of hours of planning, and you should feel comfortable on the big day that everything will run as planned. By reviewing ARIA’s Policies and Procedures, you can rest assured knowing exactly what to expect. Need a meeting room with a U-shape configuration that fits thirty of your colleagues? 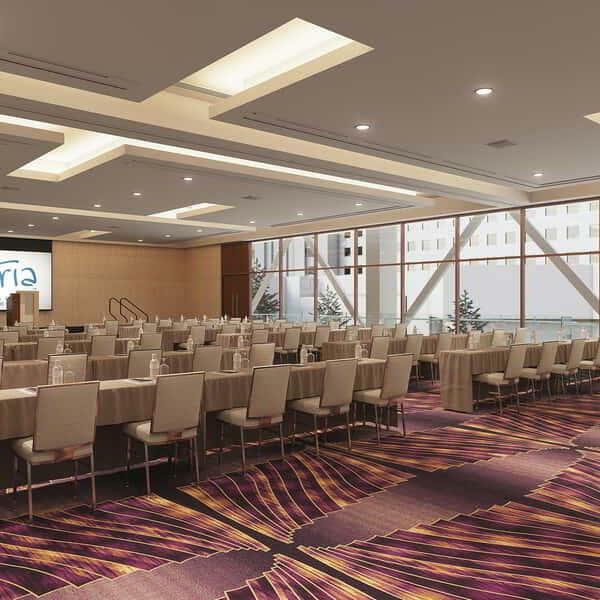 Find the exact room you need for your event in the ARIA Meeting Facilities Guide, where you can review all available meeting space capacities and room configurations. 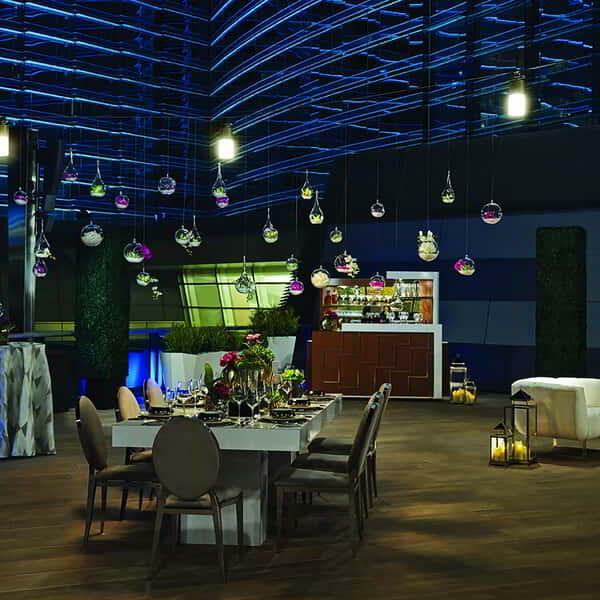 Envision your event long before setting foot on The Strip thanks to the ARIA Meeting & Conventions Brochure, where you can learn about everything ARIA offers to make your event shine. ARIA offers a wide variety of branding opportunities to maximize sponsorship exposure. Please contact your Convention Services Manager or Catering Manager for additional information, eligibility and pricing. 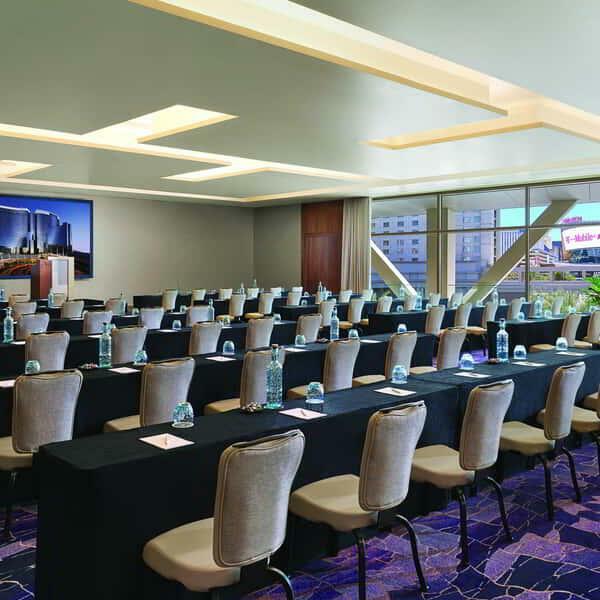 ARIA Resort & Casino is dedicated to providing support and services to help organizations, who share the same passion for environmental responsibility, extend these values when planning a meeting. 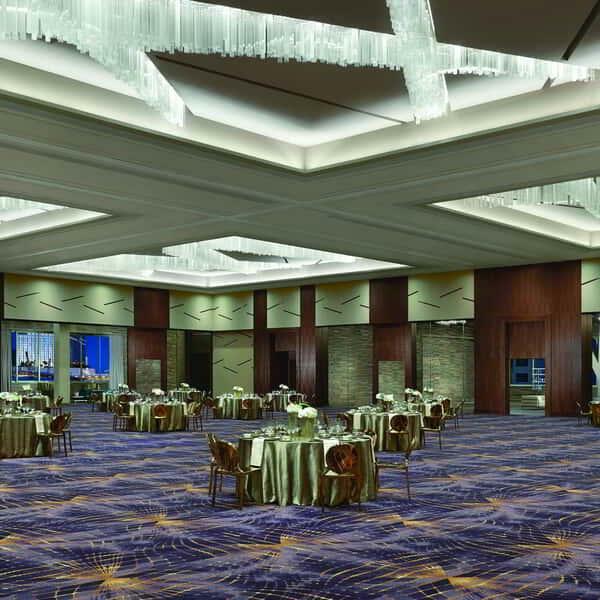 Begin planning your event with our comprehensive maps that provide a full 3D view of the flow between our East and West Convention Centers. Ironwood Terrace overlooks the serenity of the Yucca and Palms Pools at ARIA. 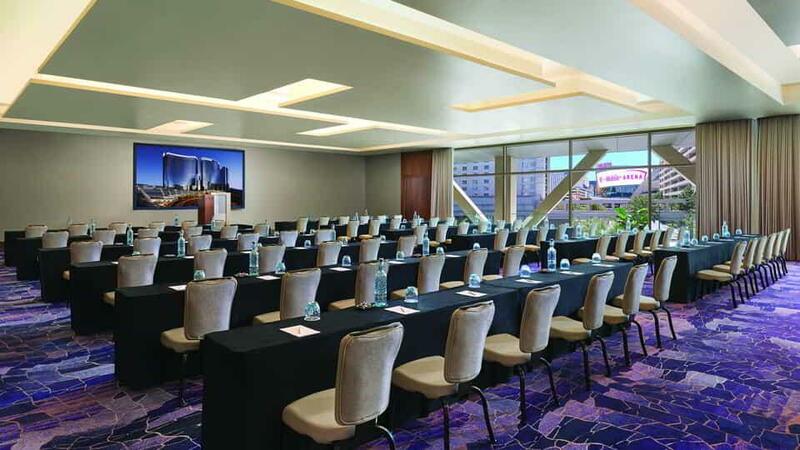 Image of Joshua Tree meeting room at ARIA. Primrose features a metropolitan design of stylish texture and color. A spectacular glass wall overlooking the pool lets light in and sustainable materials keep waste out. 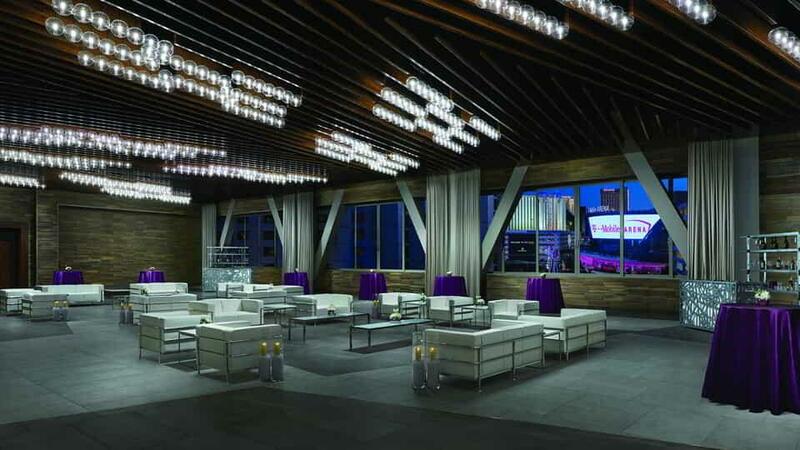 The Primrose Veranda showcases breathtaking views of T-Mobile Arena and Park MGM.